In the late 1770s, the Greenwich Observatory spent 13 months putting one timepiece through rigorous trials. During those trials, the timepiece broke every record for timekeeping precision at the time. It was so successful that a new word was made to describe it: the word ‘chronometer’, which to this day is used for exceptionally precise watches, was coined by John Arnold, the inventor of that record-breaking instrument and founder of the watch brand Arnold & Son. 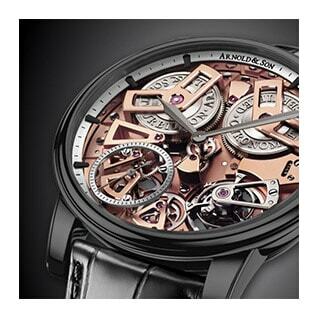 This year, Arnold & Son celebrates the 240th anniversary of the fateful creation of that watch, the John Arnold No. 1/36 Chronometer. To pay tribute to the first chronometer ever created, the brand has released the modern heir to that incredible legacy. The Tourbillon Chronometer No. 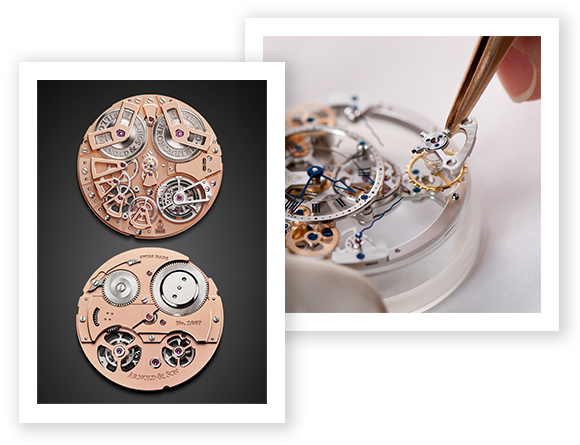 36 was built using the classic codes of English chronometer design, featuring a three-spoke composition signature to Arnold & Son in its tourbillon movement. This COSC-certified technical virtuoso is also incredibly aesthetically pleasing: its dark grey DLC “gunmetal” coating on the sleek, stainless steel case provides a classic, muted backdrop for the striking skeletonized dial. The gold detailing on the original Arnold 36 and traditional English gunsmithing were heavy influences in this new watch’s compelling design. 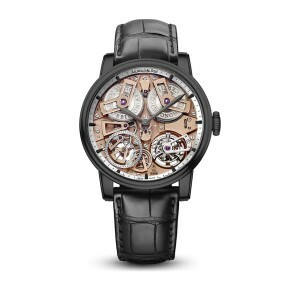 The Arnold & Son Tourbillon Chronometer No. 36 is extremely limited in number: only 28 timepieces have been made in this design.